Dental Fluorosis video link - Click here. Water Fluoridation causes Dental Fluorosis. 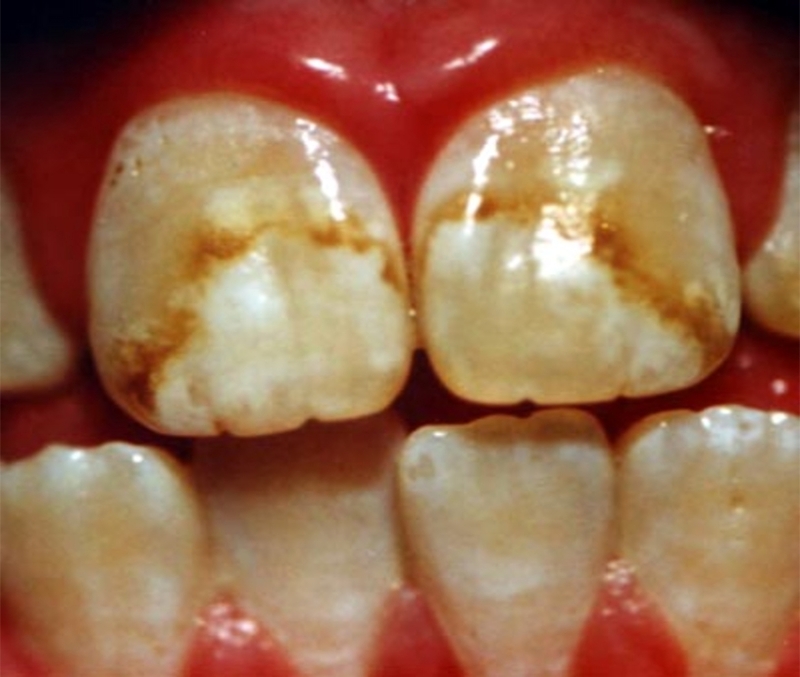 Dental Fluorosis is a visible sign of fluoride poisoning and appears as mottled, stained and / or pitted teeth. The York Review stated that in areas of water fluoridation there was an average of 48% Dental Fluorosis. With 12.5% of 'aesthetic concern'. If water fluoridation can do this (see image below) to the hardest substance in your body (tooth enamel) what is it doing elsewhere?